Here is a top rear view of the piece. 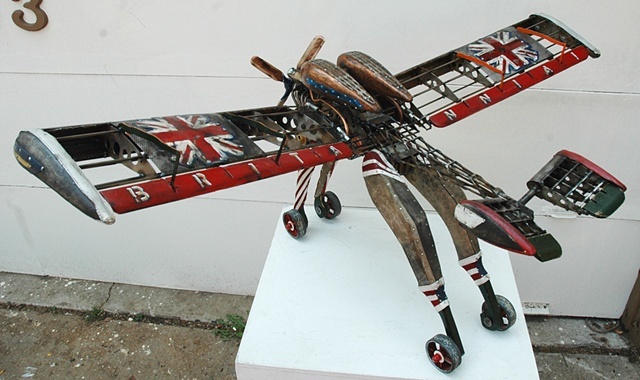 Note the Union Jacks on the wings (from a cd cover I found) and the word "Brittania" on the control surfaces. All control surfaces, wheels and propeller move.